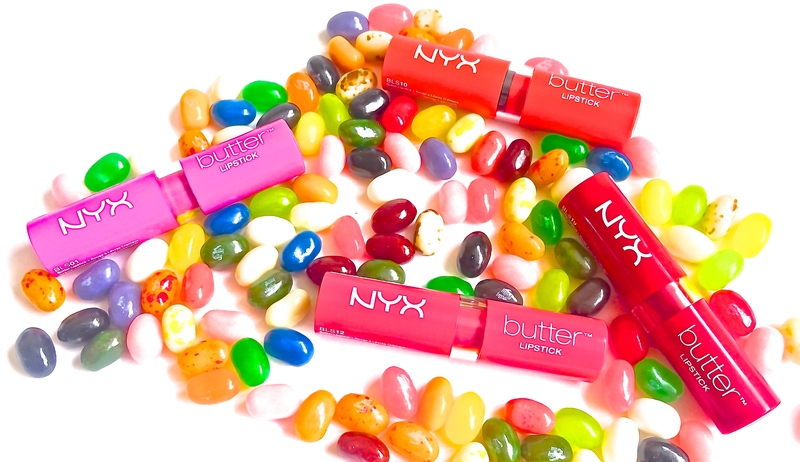 I just had to dedicate a whole post to these little tubes of awesomeness! 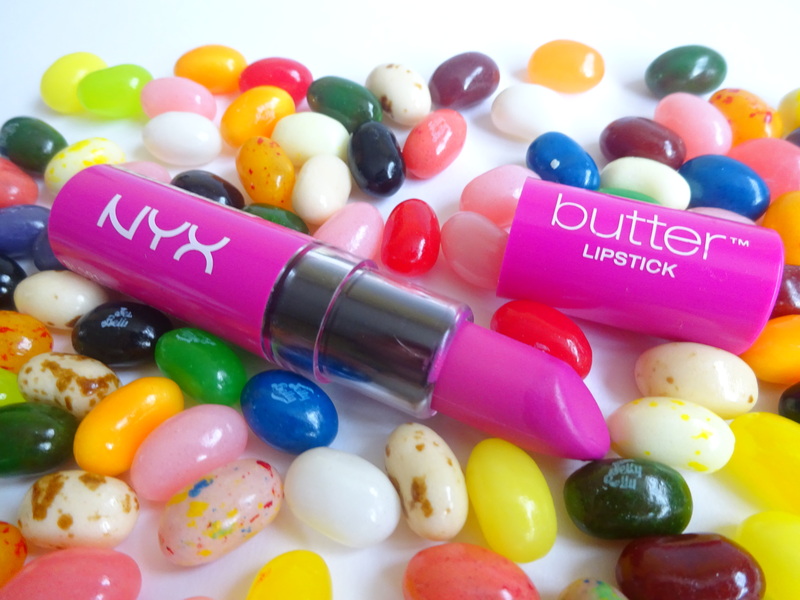 NYX have got it oh so right with their Butter Lipsticks. 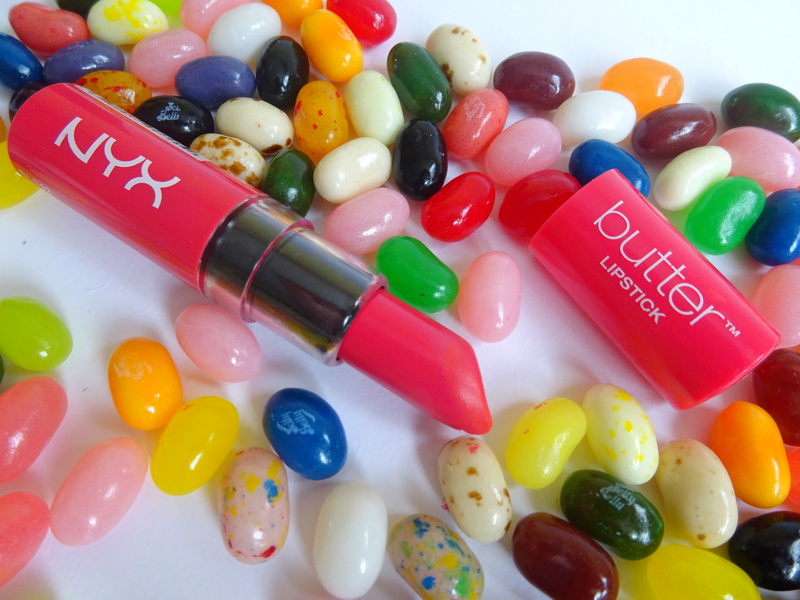 They’ve got the pigmentation of a matte lipstick without the dryness – they’re literally buttery soft on your lips! Who could ask for anything more? And the colour range is pretty impressive too. Little Susie is a pinky red shade – great for those days when you can’t brave the full on red lip look. Razzle Fiesta is a bright Magenta Pink – not for the faint hearted! It’s that perfect Barbie Pink colour, very Nicki Minaj-esque. 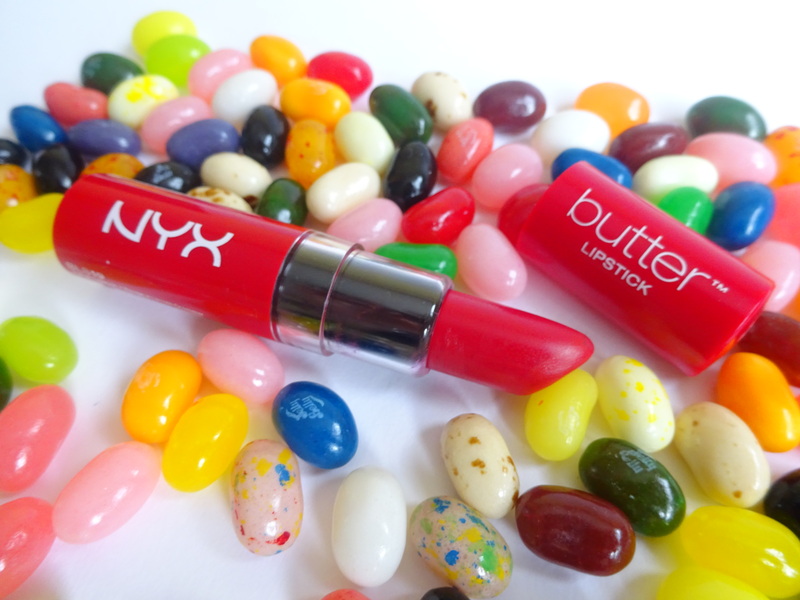 If you want to make a statement with your lip colour, this is the one for you. Hot Tamale has been my Summer obsession. So much so that I featured it in my June Favourites. It’s a bright orange shade which looks great when you have a nice tan. 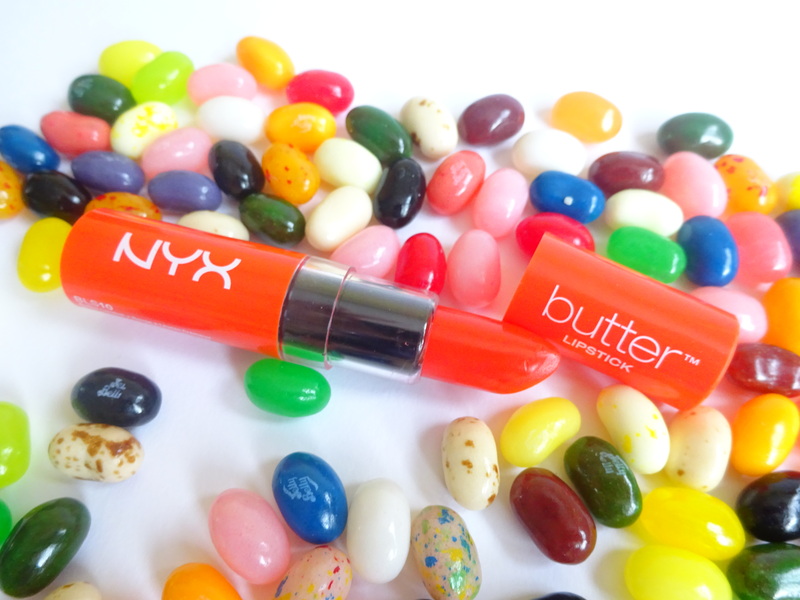 It has a slight reddish tone – perfect for those who want to venture into orange lip territory. Big Cherry Cerise Ronde is a deep red shade – think classic Hollywood glam. The rich colour looks fab paired with a feline flick. NYX offer many more shades but these are the ones I was most drawn to. 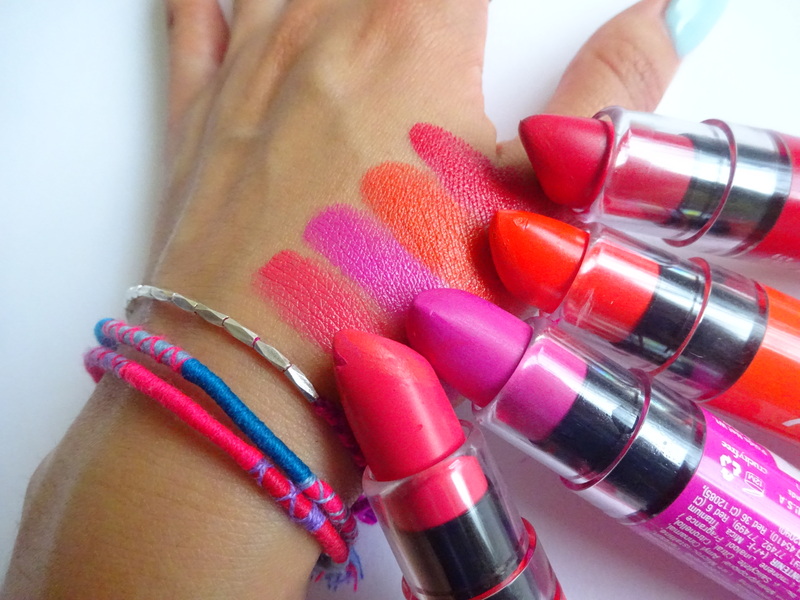 I do love a bright lip look! I picked these up for a mere $6 on my last trip to the States. Cheap as chips! It’s a shame that they are so hard to come by over here in the UK, if not I would definitely have the whole collection by now. Luckily the lovely people over at Very stock the bright pink Razzle shade. If not I advise you stock up on these whenever you are out in States. 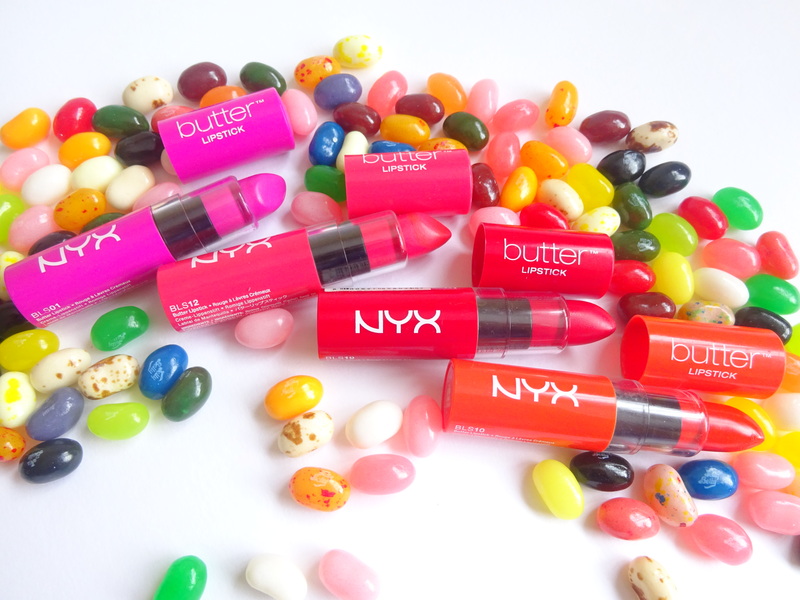 If you are reading this NYX – bring your Butter Lipsticks to the UK! Pretty please 🙂 Anybody else want to join in my lipstick revolution? Wow these are so bright I love it!